Back in December Lottie and Doof introduced me to a whole new world of Roast Chicken. 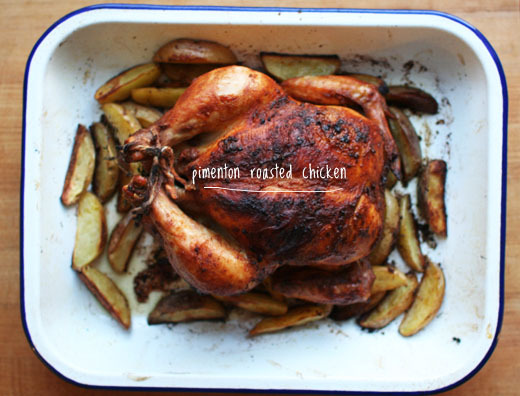 I was enamored by the photos of the Pimentón Roasted Chicken and when I made the dish at home I was impressed that this high-temperature method of roasting chicken created a crisp and flavorful bite that is moist and delicious. The recipe wasn’t the only thing I admired, I became an instant fan of the Falcon Enamelware Bake Set used in the photos and left a comment on recipe, asking where I could find them. 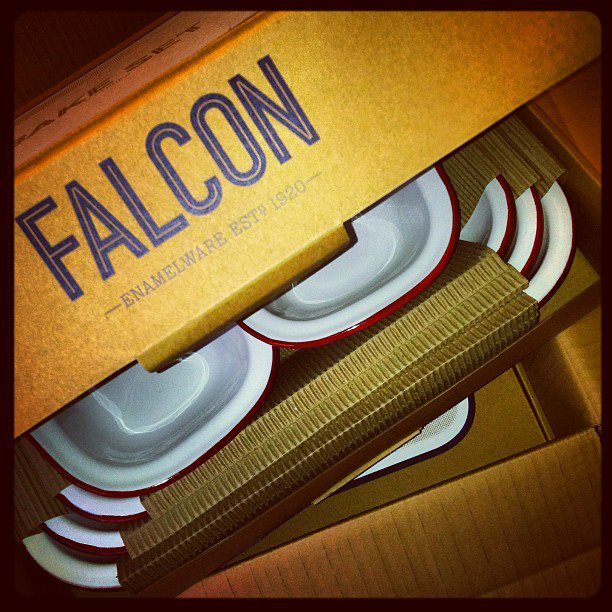 Falcon have been making cookware since the 1920s and their product is admirable. There’s attention to detail in the quality of this product, as well as the brand they have created. Everything about Falcon screams classic and tasteful. 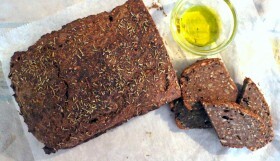 Although Flacon is based in the UK, they will ship to the US, Europe and Australia and the bake ware arrived quickly. 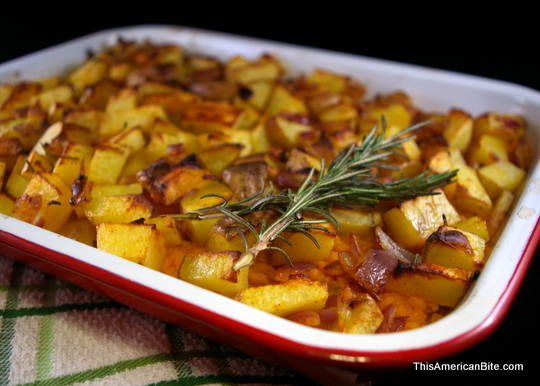 My Sweet Potato and Yukon Gold Shepard’s Pie was the first dish I cooked in my new Falcon Enamelware and since then I have used it to bake salmon, roast chickpeas and roast a whole variety of root veggies. Enamelware handles high temperatures well, making it perfect for Lottie and Doof’s chicken, but it is also light weight so you’re less likely to strain your wrist as you scan the kitchen counter, looking for a place to put your fresh-from-the-oven roast. The kind people at Falcon sent me two bake sets. One for me and one for you. To get your hands on this set, scroll to the bottom of this post to enter. In case you are wondering, Enamelware is made by fusing glass onto steel so that it is smooth and long-lasting. 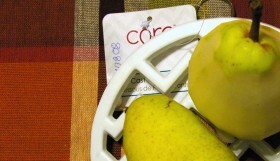 Chemicals don’t impact the enamelware so it will last a long time. 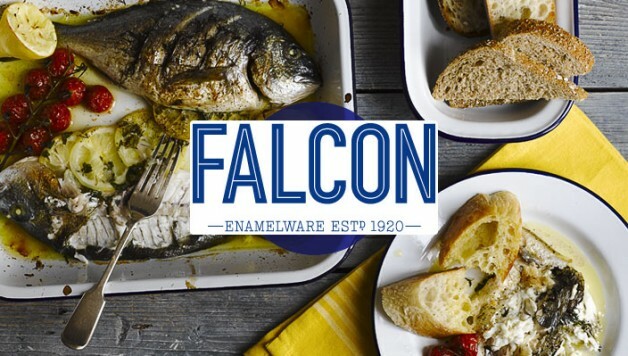 The other great thing is that you can use this enamel bake set at high temperatures, in fact, Falcon say their product is safe up to 530F, which is about 270C. 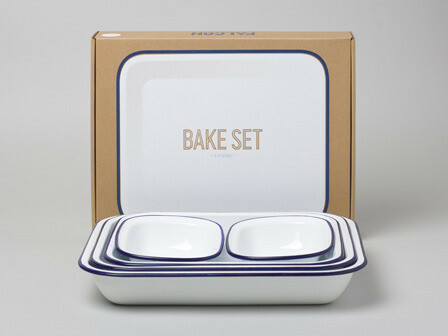 The Falcon Enamelware Bake Set is dishwasher safe too. To win this bake set, complete the options in the widget below and leave a comment below telling me what you would cook if you won this bake set. 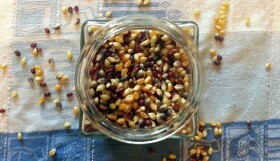 You can enter this contest daily until the end of April and there are plenty ways to enter.